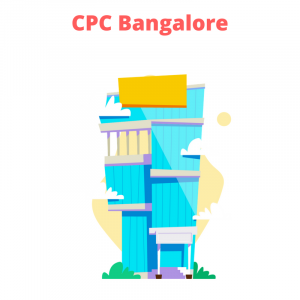 A unique PINCODE 560500 has been allotted to Centralized Processing Centre (CPC), Income Tax Department located in Bengaluru by the Department of Post. Taxpayers can henceforth address their mails to “Centralized Processing Center, Income Tax Department, Bengaluru 560500” for the purpose of submission of ITR-V forms and other documents which require physical mode of transmission. If you’ve downloaded the ITR-V from the Income Tax Department’s website, you’ll need a password to open it. After receiving your ITR-V (acknowledgement), you have to send it to CPC, Bangalore within 120 days of e-filing your Income Tax return. ITR-V is a one page document, which you need to sign in BLUE INK and send via ordinary post or speed post. You cannot courier the ITR-V.
You do NOT need to send any supporting documents along with the ITR-V. Just the one page signed ITR-V.
We strongly recommend that you send your ITR-V at the earliest for your tax refund processing. Don’t forget, ok? Avoid printing on Dot Matrix printer. Please do not print any water marks on ITR-V. The only permissible watermark is that of “Income tax Department” which is printed automatically on each ITR-V. The document that is mailed to CPC should be signed in original in BLUE INK. More than one ITR-V can be sent in the same envelope. The ITR-V form is required to be sent to Post Bag No.1, Electronic City Post Office, Bengaluru, Karnataka-560100, by ordinary post or speedpost.